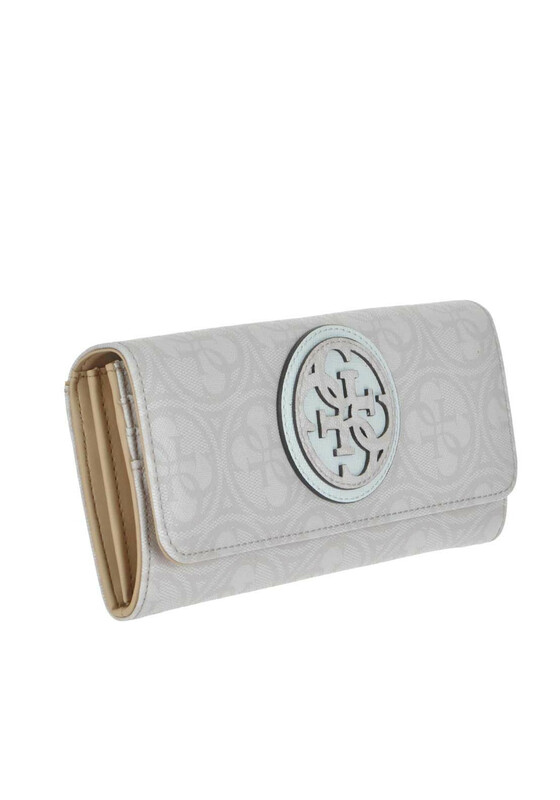 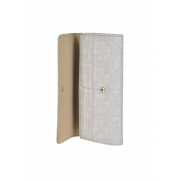 This pale gold coloured wallet from the Guess Carly Range is contemporary and stylish. 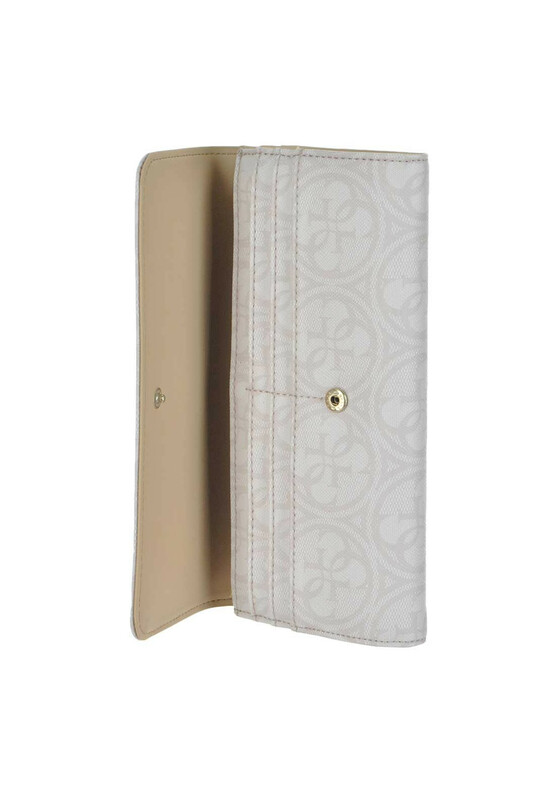 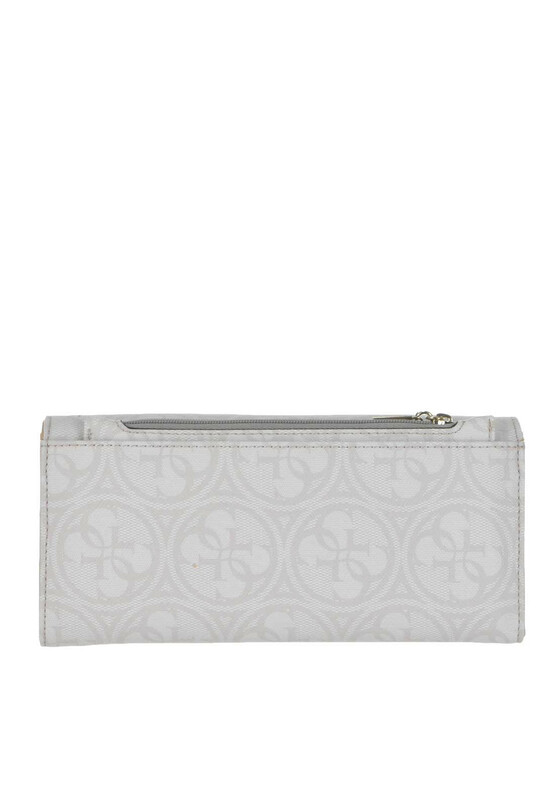 The wallet comes with a pull out zip pouch, twelve credit card slots and a zip compartment on the inside. 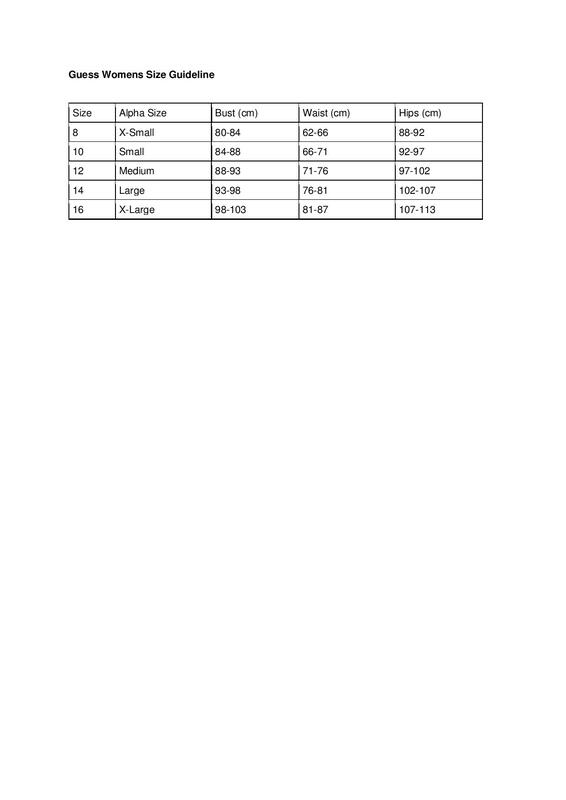 Size: 20x10x2 cm / 7.87x3.94x0.79 in.